The Official Launch of the 11th Edition of YACHTING IN MALTA (2015-2016) was held at the Malta Maritime Museum - Grand Harbour Marina, Vittoriosa on Wednesday 22nd April 2015. 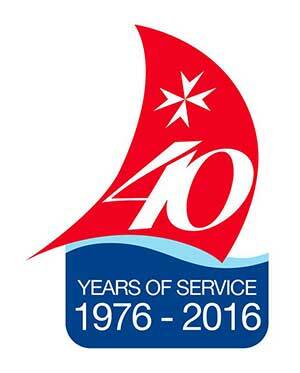 This significant Edition marks the 40th Anniversary since the publication of the first issue of Malta's Yachting Industry Directory in 1976. The Official Launch of this 11th Edition was held under the auspices of the Hon Joe Mizzi, Minister for Transport and Infrastructure who also drew up the Foreword of this issue. Looking Back Over The Years Delightfully! 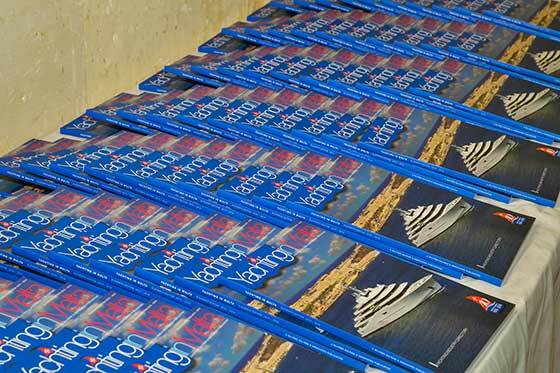 "Over the years Yachting in Malta (YIM) took the initiative not only to use the Directory to promote extensively the Island's potential but coordinated various promotion articles in reputed international yachting periodicals and was also behind the organization of other marketing initiatives. Possibly the most beneficial were the three Superyacht Industry Seminars hosted in association with Transport Malta and the International Superyacht Society (ISS). With their involvement in the 2009, 2011 and 2013 seminars ISS not only provided speakers of standing but also gave Malta a prestigious global exposure through their commendable marketing network. Another exciting Event of ours was the Malta Maritime Careers Day in 2014 where we secured the relevant involvement of ICOMIA (International Council of Marine Industry Associations), IMO (International Maritime Law Institute), and SNAME (Society of Naval Architects and Marine Engineers). YIM was also behind the organisation of a Pre-Election (2013) Forum where political parties presented their perspectives and projections for the coming years with regards to the Yachting Industry in Malta. Definitely one looks back delightfully over our involvement and contribution throughout the past Forty Years. While we thank all those directly and indirectly involved in the yachting industry in Malta for their significant support and encouragement throughout these years we wish the industry further growth and success."